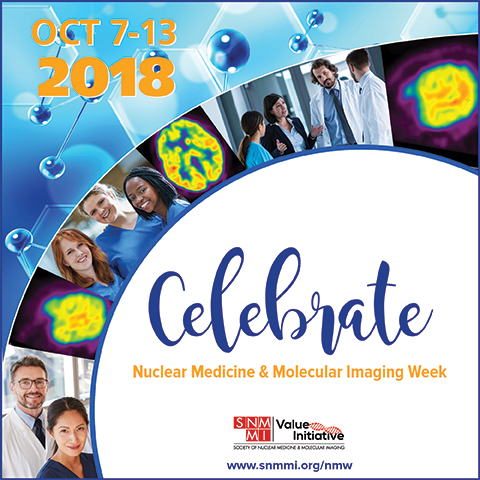 Celebrate Nuclear Medicine & Molecular Imaging Week! Thank you for all of the great work you do! From everyone at SNMMI, we'd like to thank you and your colleagues for your continued commitment to your patients, your profession, and for helping guide the future of healthcare and personalized medicine. Pay it Forward. Donate to SNMMI's Annual Fund. Your generous contribution helps SNMMI support future research, drive strategic initiatives, and develop future leaders. Enjoy up to 30% off these popular SNMMI offerings. Sale prices available October 7-13. *Offer valid on new purchases only. Cannot be transferred or combined with any other offer. Offers good while supplies last. No rainchecks. Not vaild for bookstore orders. SNMMI reserves the right to withdraw the offer at any time. All discounts valid October 7-13, 2018. Learn more about Nuclear Medicine and Molecular Imaging Week!